All meal plans are paid for through the tuition bill. To add or change a meal plan, visit Myhousing. Visit temple.campusdish.com for more information about plan details and dining facilities. New students on the main campus are required to contract for a minimum meal plan of 10 meals per week. Returning students are not required to contract for a meal plan and may select from any meal plan offered. Off-campus students are not required to contract for a meal plan and may select from any meal plan offered. To register for a Meal Plan, students should contact University Housing and Residential Life at (215) 204-7184 option #2 to request their desired meal plan. Students will be required to complete the attached form to add or change their Summer 2019 Meal Plan. 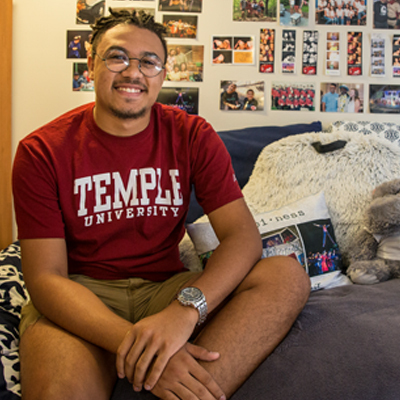 Access Temple University’s Tuition Calculator to estimate your costs for tuition, fees, housing and meal plans.